Depression is an experience which is utterly exhausting and energy draining. Sometimes referred to as “the black dog”, depression can be overwhelming and debilitating. Every person’s particular experience will be unique. However, there are some common themes present for those who experience this incapacitating condition of protracted low mood. You may feel a lack of enthusiasm or motivation to do the things that once provided joy in life. An overwhelming sense of tiredness is also often present. Inability to sleep, excessive sleeping or waking exhausted after a nights sleep are also common. Anxiety and anger are also often present sometimes described as irritability or agitation. It is often very difficult for the individual to concentrate or focus on any particular task, too. Depression often described a harsh internal dialogue which is extremely critical of themselves and is consistently beating them up inside. Cognitive Behavioural Therapy views these negative and harsh thoughts as cognitive errors or distortions. These thinking errors are often what maintains the low mood state and are consequently the target for much of the work of cognitive therapy. Cognitive therapy aims to assist you to raise your awareness of internal patterns of thinking that are not helpful. Once awareness is raised the therapist works with you to challenge these caustic thought patterns. Then, we replace any automatic unhelpful thoughts with a more balanced perspective on their world. With awareness often comes a realisation of how these thoughts are, in fact, often times not at all objective or balanced and are rather highly destructive to the person’s well being. We can help you to identify the hot thoughts in your life and change your automatic thoughts and behavioural responses to them. By intervening at the level of thoughts and behaviours there is a consequential effect on the person’s emotional experience of the world. Emotion Focussed Therapy (EFT) techniques aim to access, understand and transform emotions in an experiential way. EFT can help you identify which of your emotions you can trust and rely on as adaptive guides and which are residues of painful memories that have become maladaptive. With the help of our Counselling Psychologists’ empathic understanding and the use of experiential methods, you can learn how to make healthy contact with feelings, memories, thoughts, and physical sensations that have been ignored or feared and avoided. EFT assists you to be more able to transform painful or debilitating feelings by accessing adaptive emotions such as healthy grief, empowering anger, and compassion and apply this to life outside of the therapy room. 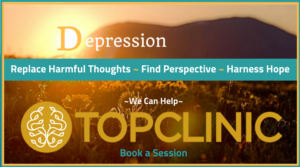 If you would like to recognize your negative automatic thoughts or transform your emotional experience, you may contact us to scheduled a session at our booking page.